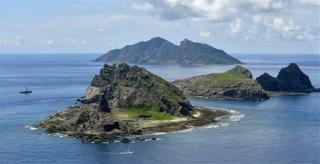 (Newser) – Japan has apparently figured out a way to end its territorial dispute with China over some uninhabited islands in the East China Sea: buy them out from under China's nose. Though the Japanese government has not publicly confirmed the deal, the country's media today reports via unnamed sources that Japan plans to purchase three of the islands from the Japanese family who owns them. Price tag: $26.2 million. Though Japan controls the Senkaku (China and Taiwan, which also claims them, refer to them as Diaoyu), the land grab will likely wear on relations with China. "monitoring developments closely and will take necessary measures to defend its national territorial sovereignty." --is actually very scarey language, though people who don't read history won't realize it. workes for me. better then having a war over them.